NGC7380 is also known as the “Wizard Nebula” and as Sharpless 142 (Sh2-142). 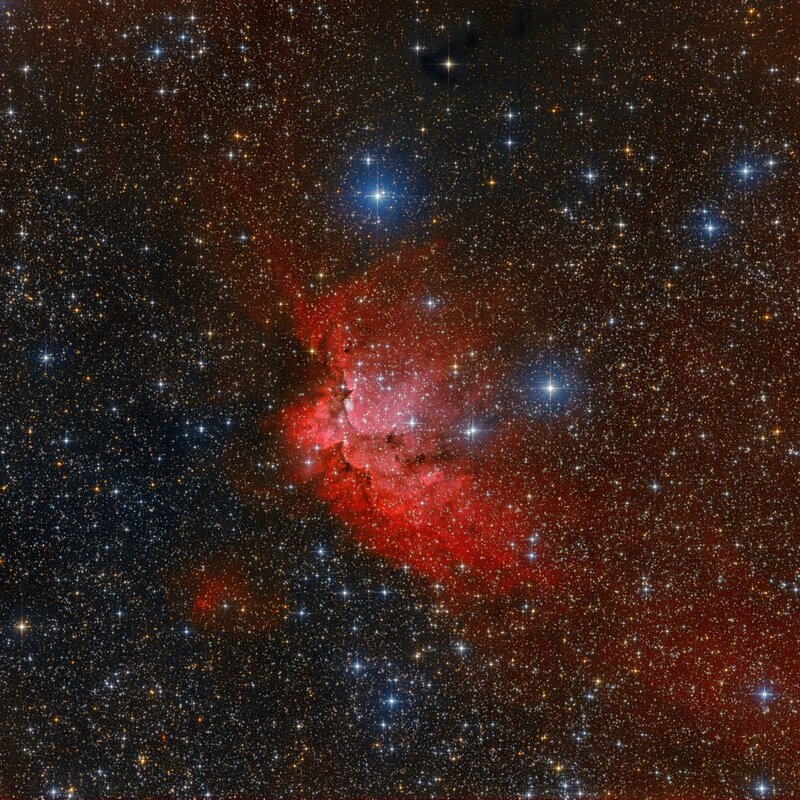 This large nebula is in Cepheus and the gas surrounds open star cluster NGC7380. The nebula is fairly close to us at about 8,000 light years. Visually, the interplay of stars, gas, and dust has created a shape that appears to some like a fictional medieval sorcerer. The active star forming region spans about 100 light years, making it appear larger than the angular size of the Moon.